What is teal hair dye or hair color? The color Teal belongs to the family of blues and greens. It is a mixture of blue, green and purple creating an inspiring color of the high waves in the sea. Teal is an exciting color which fascinates most people. The color can be mixed and matched to create beautiful backgrounds and paintings. Not long ago, Katy Perry and Kylie Jenner, experimented with a deep blue Teal hair dye, showing the world that everything is possible but you should have the guts to carry it confidently. Since then, many women and girls have tried to experiment with this adventurous color. In the article below all the relevant information have been given about the different teal colors, the different companies offering the teal hair dye, who would it suit and who it would not. Read further for more details. Would “Teal hair dye” suit me? Will Color come on my hair and complexion? SHOULD I GO FOR PROFESSIONAL DYEING OR AT-HOME? SHOULD I GO COMPLETELY TEAL? Now the first question one gets in their mind is that will the teal hair color suit me? If one actually wants to see teal color in real you should go see a peacock. The colors on a peacock are the perfect description of a teal color. If you search the internet you will get thousands of options of teal color, some blending towards green, some blue, some turquoise and some merging together. You will love the velvety and lustrous colors through the images. 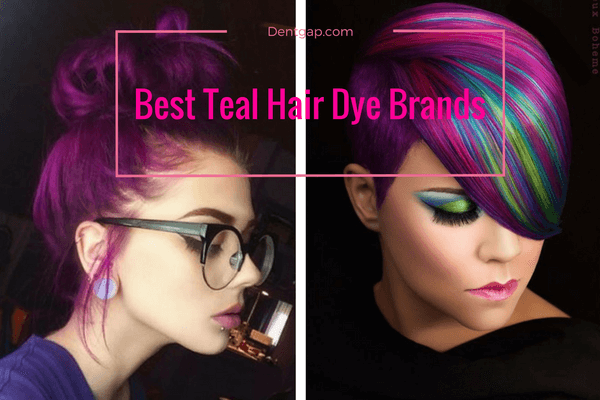 Trying for the first is a difficult task but if you have a bold personality and are willing to take risks and love experimenting then teal hair dye is definitely for you. If you can carry unique trends, then you will look classy and sophisticated in teal. Teal hair dye mostly comes on light blond or light colored hair. It gives a good and long lasting effect on light colored hair. If you have light blond hair, then you should definitely go for it. And even if you have dark colored hair you can bleach your hair and then go for a teal color. One should research first that what kind of color will suit which skin complexion. Azure Blue from Stargazers new range of colors. Voodoo Forest by Manic Panic. Fish Bowl semi-permanent color by Special Effects. Atomic Turquoise by Manic Panic. Peacock Blue semi-permanent from Crazy Color. These are some of the best colors available if you want to try this solid color on your hair to awe everyone. When you have chosen the perfect teal color for yourself, then comes the question of what kind of hair dye to use. Teal hair colour comes in semi-permanent dye, permanent dye, and dark teal hair dye. These have different effects and different lasting days. This type of dye either comes in hairspray form, hair chalk form or a wash out dye. These are good for first timers and those who are not willing to take risks. The best options for semi-permanent or temporary teal hair dyes are Metallic Teal by Chroma Lights and Teal Virtue by Color Me. Permanent teal dye is one which is the most long lasting and stays for up to 6 to 12 weeks with proper hair care routine. Apart from the Wella Koleston mentioned earlier, Twisted Teal by RAW is also a very good permanent color with deep teal tint which suits almost all skin types. Dark teal hair color is the most challenging to achieve as most teal colors come in light tones and shades. Dark teal hair color can be created by mixing a little black or brown dye in the basic teal color to give a little dark tint. Good options of dark teal hair dyes are Turquoise by La-rich permanent hair color and Peacock Blue from Crazy Color hair dye. Teal hair dyes are mostly unavailable in salons as they go for more natural colors. However, there are many websites like eBay and Amazon where you can buy quality products. One should ask their salon whether they have teal colors or not. Nowadays, the home color kits are very easy to use and give perfect color result at home. You just need to follow the directions clearly. Some home teal color kits come together with a bleaching kit a well to bleach initially before the dye. The teal color will not come in dark hair. If one is not in the mood for experimentation than you can even go for teal color hair sprays which will give you the result and you can check whether the color looks good on you or not. Teal hair dyes come in a variety. There are permanent teal hair pigments available which last up to 4 to 12 weeks along with proper care and using color protected products. The best long lasting color according to reviews is WELLA KOLESTON teal blue color. However, mostly teal hair dyes come in semi-permanent or demi-permanent colors. The famous companies which have these teal colors are Stargazers, Manic Panic, Adore, La Riche and RAW. According to reviews and comments and tried and tested users, one should not go completely teal for the first time. Teal is a very wild and bold color and not many people can carry it well. It can either make you the most sophisticated or the weirdest. But a little bit of teal can never go wrong, it will give you impulse as well as keep you sober, it will make you stand out but it will be subtle. It will make the people around envy you and will also complement you. There are so many dye option and styles to choose from, one can go with just a sprinkling of teal, or mix two to three dark teal shades and create a wave like hair. You can even go for just the ends getting a teal shade or bets would be to go from a light towards a darker shade with the length of the hair. Whatever shade of teal you choose or whatever style of dye you choose it will surely make you look different in a crown and you will face complements and criticisms as well. The most important thing is you should take care of your hair and flaunt you color and style with a confidence and look trendy. CIAO!